Qatar Airways has stated that it would convert 10 of its 50 Airbus A321neo on order to the Airbus A321LR (long range) variant of the A320 family. 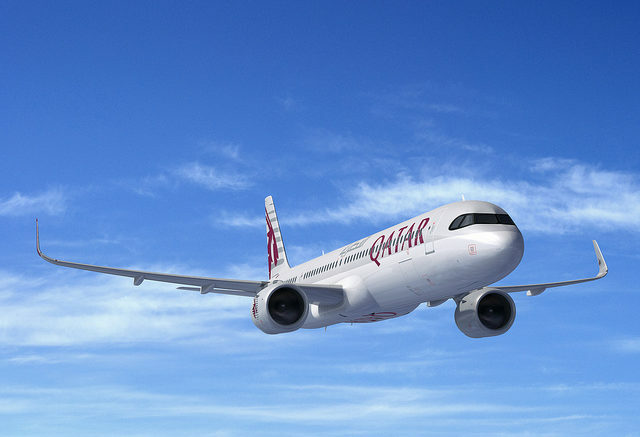 Qatar Airways said that it will use the A321LR to connect Doha to new growing markets, where today demand is not sufficient for wide body aircraft or where current narrow bodies (A320/A321) are unable to reach. Alternatively, the airline added that the new aircraft will be adopted to provide additional frequencies on existing Qatar Airways routes, giving its loyal passengers more choice and flexibility when they travel. According to Qatar Airways the A321LR, the latest member of the market leading A320neo family, is able to fly longer routes of up to 4,000 nm (7,400 km) and that the A321LR provides additional operational flexibility, as it has the longest range of any single aisle airliner, making it ideally suited to transatlantic routes and enabling airlines to tap into new long-haul markets which were not previously accessible to single aisle aircraft. In general, the A321LR can carry up to 206 passengers in a typical two-class layout, or up to 244 passengers in a single-class configuration on intra-regional flights, offering each passenger the possibility to carry up to three bags. This aircraft is improved with a maximum take-off weight of 97 tonnes compared to 93.5 tonnes for a standard A321neo, with structural reinforcements at the wing and centre wing box, and the option of adding a third fuel tank in the cargo compartment, depending on the needs of the operator. This aircraft is also characterised by its passenger comfort, its significant endurance, its cabin layout adaptability, its per-seat operational costs, which are 30 per cent lower than those of the nearest competitor, and all this with excellent environmental performance. The multiple-award-winning airline was named ‘World’s Best Business Class’ by the 2018 World Airline Awards, managed by international air transport rating organisation Skytrax. It was also named ‘Best Business Class Seat’, ‘Best Airline in the Middle East’, and ‘World’s Best First-Class Airline Lounge’. 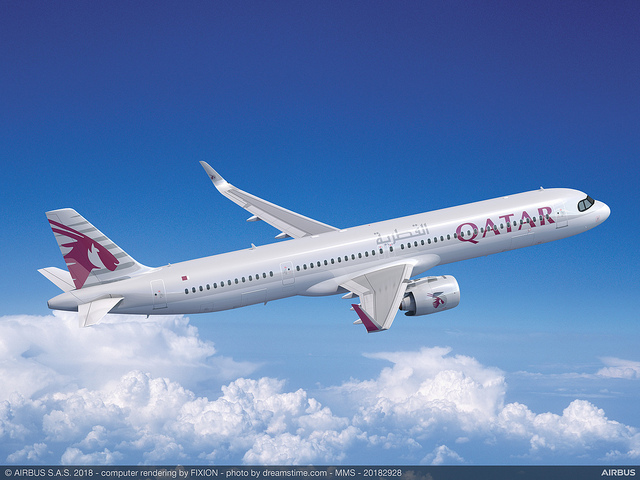 Be the first to comment on "Qatar Airways To Convert 10 Airbus A321Neo On Order To Longer Range Airbus A321LR"